With the iPhone X, all that glitters is, indeed, gold. The 5.8-inch, bezel-less screen when switched on offers a vibrant OLED display. We were most excited to try out the front TrueDepth camera that also powers FaceID. It captures great selfies - sharp foregrounds and blurred backgrounds - and offers both Portrait Mode and Portrait Lighting mode, both of which are brilliant. 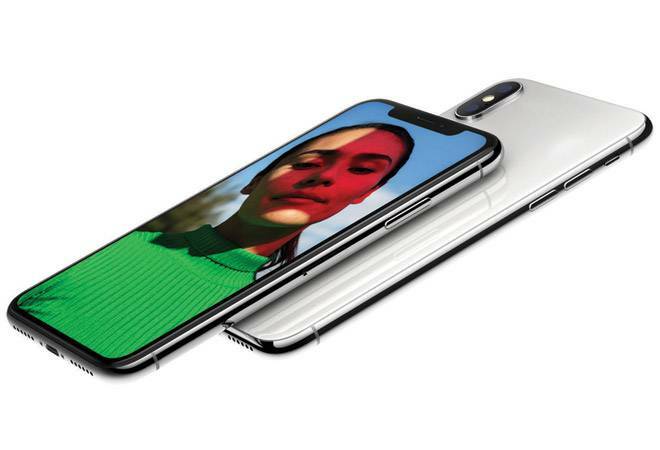 The camera notch at the top centre, a bit distracting as it interferes with the display, houses the FaceID sensor system - the dot projector, infrared camera and flood illuminator. The FaceID is secure and works well. It can recognise changes in your appearance and unlock the phone. But unlocking the iPhone X with your eyes shut, in default settings, will be futile. The FaceID data is saved on a secure valve on the phone itself, eliminating the chances of a leak while sending it to the cloud. The TrueDepth camera also powers Animoji - animated emoji - a cool new feature that lets you lend your expressions and voice to an emoji and share it. With the home button gone, one has to learn newer gestures - swiping up from the bottom for the home screen, swiping up and holding to get into the multitasking mode, swiping down from the left of the notch to see notifications, and swiping down from the right to open the control centre. The iPhone X is a compact device, smaller than the iPhone 8 Plus, Samsung Note 8 and even the Google Pixel 2 XL. Google, too, has done an impressive job with the rear camera on the Pixel 2 XL. Putting artificial intelligence to use, even with a single 12.2-MP rear camera, the Pixel 2 XL captures stunning portrait shots with depth effect. Google has also introduced an AI-based virtual search tool that appears in the Photos app just before the delete icon. Using machine learning, it recognises objects and landmarks. There is also an Active Edge feature that activates voice assistant, when the phone is squeezed from the sides, and also silences incoming calls. While there was no screen-burn issue with the 6-inch 2k display of the phone, as was reported, there was a blue tint visible at certain angles. Despite its big display, the Pixel 2 XL has an ergonomic design and the touch response is superb. 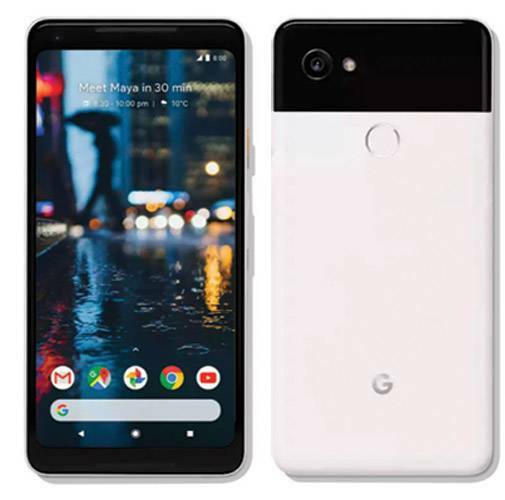 The Pixel 2 XL 64 GB variant is priced at `73,000 and the iPhone X 64 GB will retail for `89,000. The hardware and performance of both the phones are top-notch, but if your budget allows, veering towards the iPhone X is a good idea. Amazon has spruced up its Alexa-powered (the voice assistant) smart speaker range. We tested the top-of-the-line Echo Plus and were quite impressed. Setting it up is easy. Connect the speaker using the Alexa app to the home Wi-Fi network, and you are good to go. Ask Alexa about the weather or to play a particular song, and Alexa will swiftly oblige. Amazon has equipped Alexa with close to 10,000 skills that are to be activated from within the app. Some of the 'skills' include booking a cab on Uber and Ola, ordering food on Foodpanda, checking ESPNcircinfo for cricket scores and India Today for news. The Echo Plus comes with a builtin hub to control compatible smart lighting and appliances. We tested this feature with the Philips Hue smart bulb. On saying, "Alexa, discover devices" aloud, it started searching for compatible devices and added them under Smart Home on the app in 45 seconds. Once connected, I was able to turn on/ off the Philips Hue, and also command Alexa to change the colour of the LED. Alexa is good at recognising Indian accents and gets better with use. At an introductory discounted price of Rs 10,499, the Echo Plus is a good buy. 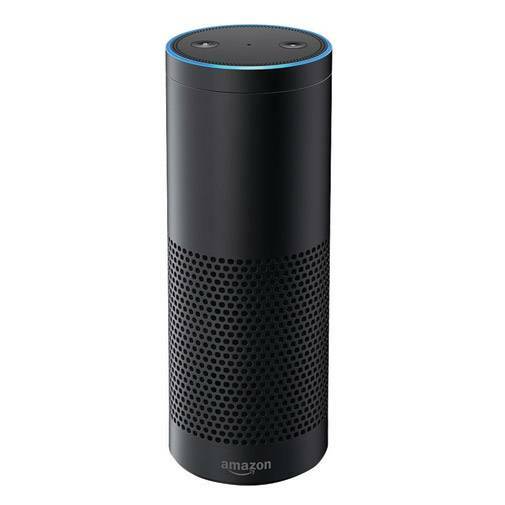 But if you are not planning to invest in smart home appliances or switches, you should consider the slightly aff ordable Echo Dot or Echo.